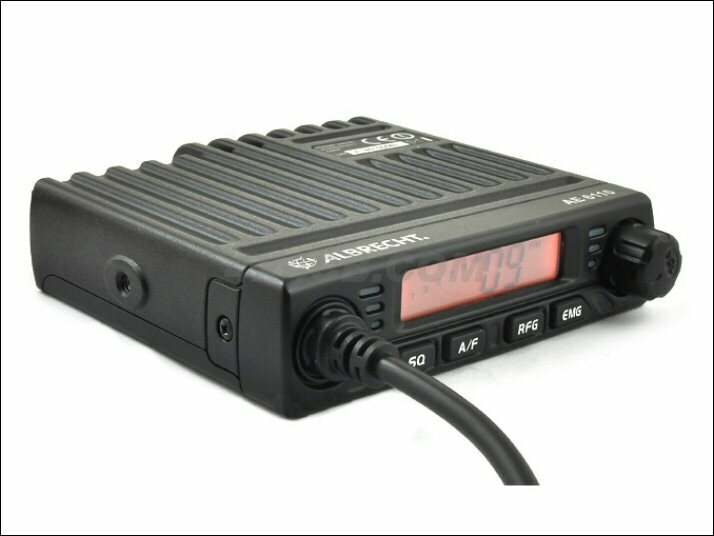 The Albrecht AE 6110 works very well with strong audio on receive and transmit and is so small a place could be found for it in a vehicle where no other CB would fit. This CB is very similar inside to the cheaper CRT One & Team Minicom radios that you'll see on the internet ... it differs inside a little (not a lot, but the differences are significant to us), the layout of the controls on the front is better and it also features a signal display and TX/RX indicators where the CRT One and Team Minicom do not. With many conversations starting with a call for a "rig check", the importance of being able to give someone a signal report shouldn't be underestimated! RF gain facility to reduce receiver sensitivity - ideal for laning etc where everyone is close-by... the RF gain eliminates the chances of the receiver being overloaded (which shows as a high pitched whine) ... just remember to switch it back to normal when everyone spreads out!